Major parties not represented in parliament are: Natalya Vitrenko Bloc (2.91%), Popular Bloc - Lytvyn (2.43%), Kostenko-Plyushch Popular Bloc (1.88%), Viche party (1.74%), and the Pora-PRP bloc (1.47%). As for regional division of votes, the pattern is as expected (cf. map). 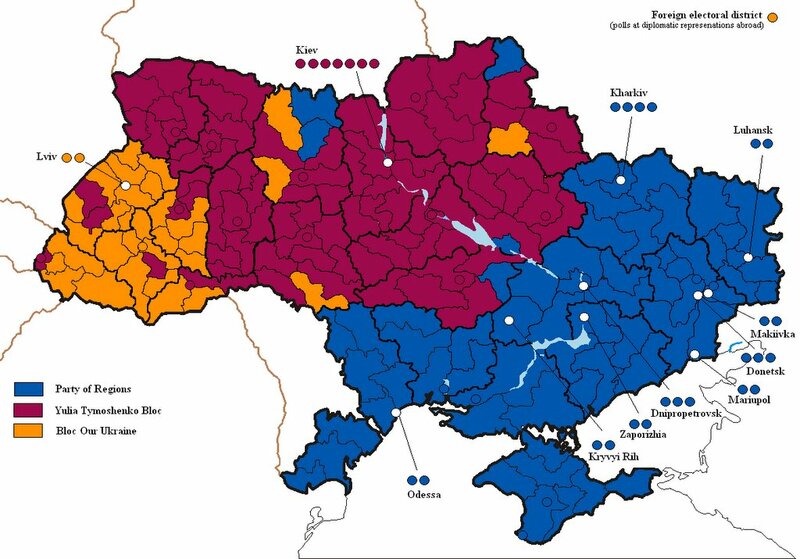 Thus, Yanukovich's Party of Regions won in Eastern Ukraine (blue), the Yulia Timoshenko Bloc in Central Ukraine (red) , and Yushchenko's Our Ukraine (orange) in the West. The tendencies previously accounted for here, thus seem to strengthen and government negotiations will prove interesting. However, we will see how long Yanukovich - Ukraine's comeback kid - will have reason to cheer. Most severe, however, is the big voter fallout due to the 3% parliamentary threshold. With 22,32% of the voters without parliamentary representation, Ukraine faces an enormous democratic deficit threatening the legitimacy and stability of the political system. This, the OSCE and the international community cannot compensate, no matter how much Ukraine is praised and commended for free and fair elections. After all, losing a fifth of the plebiscite must be taken seriously, for nobody knows where they will turn next time. This Sunday, Belarus dictator Alyaksandr Lukashenka was reelected with some 82% of the votes. However, since 20 March Lukashenka has not been seen in public, and people are starting to wonder where the triumphant victor is. Now, news from Minsk has it that the presidential inauguration, set for Friday, has been postponed until sometime in April. According to official sources, the president is busy dealing with administrative issues. The question remains: Where is Lukashenka? The absence of a leader at a critical point and feeble excuses for this, would, during soviet times, have given way to speculations whether a palace coup was in the making. Cases such as Khrushev, Gorbachev and others are but examples of methods to depose an inconvenient leader. Rumours, unclarities and the regime's nervousness lately, makes one wonder whether something really is in the making. The appearance of and leeway given to the new opposition leader Kozulin only add to speculations. 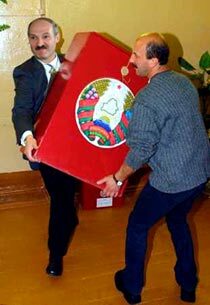 Is Lukashenka - for some reason unseen by us - losing his grip on power? Well, one cannot help wondering, even if it may only be the hope of the weak in confrontation with oppressive power. Still, the explanation for Lukashenka's absence may be very simple: He is too busy counting all the votes he "got". Ukrainians, by now, must be quite fed up with all election posters, but it is simply too hard to resist posting some of Yulia Timoshenko's posters here. One may wonder whether this youthful image is part of her success with the electorate on Sunday. 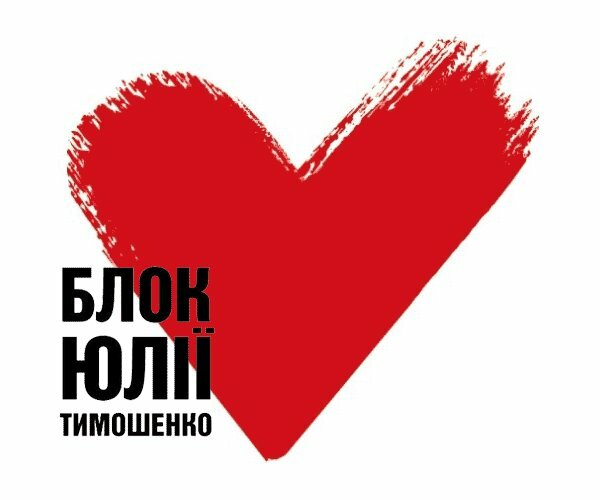 An obvious first choice is the new party symbol of Yulia Timoshenko's bloc - a graffiti heart. Next, we have the culprit herself - caught red-handed (painted?) with corpus delicti just behind her. My Ukrainian, regretfully, is not good enough to decipher what it says, but I would guess that it is something like "they cannot put you down anymore". And what is the no. 36? I seem to have missed something. Any suggestions from someone who knows? Could it be her number on the ballot? With 45 parties running for parliament, this might be a logical explanation, but who knows? It also appears somewhat impractical to go out for a graffiti-ride dressed all in white, but probably Timoshenko has little experience of this. Then we have the classic: "Fast forward Ukraine!" with Yulia - who else? - riding her country towards the future ["Only forward" - to be correct]. She must be a nightmare to her hairdresser. As some of you probably know already, her rye-blond hair is a rather recent invention. Just a couple of years back, her hair was raven-black. -Variatio delectat. There are stories of how she visited New York in the 1990's, all dressed up in mink-coat and with jewellery the quantity of the medals of a marshal of the Soviet Union. Needless to say, this did not go down all that well with the ladies on Fifth Avenue. So, Timoshenko's new look is still much to prefer, and at least it makes her hairdresser - visiting her each morning - a rather wealthy woman. Finally, we are back with the youthful and innocent Yulia, classically dressed in angel-white and with a becoming pearl-necklace braidered round her pompous neck. A true heroïne proclaiming "I am with you!". One wonders whether this is a genuine creation or something made up by the fashion houses of Paris 8th arrondissement. That people may admire Timoshenko as a very talented politician is one thing, but who is she kidding with her combined image of "girl-power" and innocence? Or is this it - what the voters want? Anyway, it is of minor consequence here. What matters is that these hilarious posters will be kept as a reminder of the choice of a new generation in Ukraine. 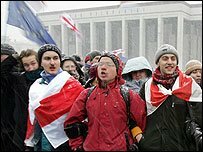 Will Sunday 26 March 2006 go down in Ukrainian history as the end of the Orange Revolution? This is undeniably the impression one may get when half the votes of Sunday's parliamentary elections have been counted. 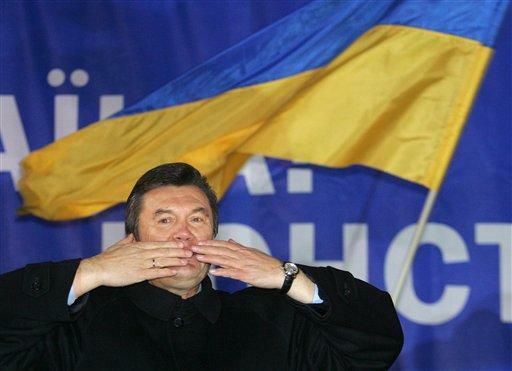 Last year the Ukrainian people ousted Viktor Yanukovich for fraud in the presidential elections. Now, he stands as victor in the first parliamentary elections since the orange revolution. Is this - in line with Yanukovich's party colour - the blue counter-revolution? With some 27% of cast votes, Yanukovich's Party of Regions is currently in the lead ahead of Yulia Timoshenko's 23% and Yushchenko's Our Ukraine's 16%. That Yanukovich would win the elections comes as no surprise, with polls giving him some 30% support over the past months. What came as more of a surprise is that president Yushchenko stands out as the big loser in the elections at the same time as Timoshenko has strengthened her support by almost 10% more than was expected only a few weeks ago. What now? Judging from the results, it is still no done deal which parties will form the new government. As of now, two other parties - the Communists and the Socialists - have crossed the 3% threshold to parliament. It thus seems as if we are in for a lot of negotiations over the next week to form some sort of a coalition government, and what options are possible will be clear only when we know how big each party's parliamentary representation will be. What is by now quite clear, is that president Yushchenko may have great difficulty to exercise his power during the remainder of his time in office. The results are not only a humiliating blow to Yushchenko, who thereby is made a scapegoat of failed policies over the past year. Due to changes in the constitution, presidential power has also been reduced and now Yushchenko may lack parliamentary support to back his policies, potentially making him into a lame duck. The question is if he will accept the roles of both scapegoat and lame duck? 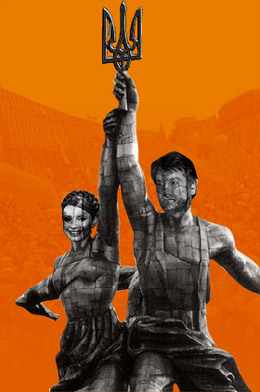 In an attempt to seize the initiatve, Yulia Timoshenko called for talks with president Yushchenko to form a new orange coalition between her party, Our Ukraine and the Socialist Party, headed by Moroz. The question is whether Yushchenko has much alternative to accepting this proposal, even if it might make him a puppet on a chain in the hands of Timoshenko. 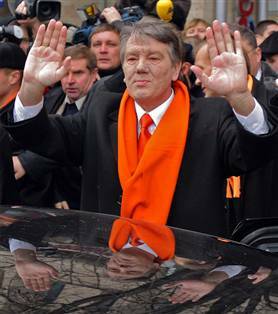 In September last year, former orange allies Yushchenko and Timoshenko had what seemed as a final fallout and Timoshenko was sacked from the post of prime minister. If an orange coalition is to rule Ukraine after the elections, Timoshenko's comeback to power is assured. The question is also whether the Socialists may be able to again join forces with their former orange allies in conforming to the government policies of Yushchenko and Timoshenko. This has proved complicated in the past. The alternative to the Socialists would then be to join forces with Yanuko vich's Party of Regions and Symonenko's Communist Party to govern Ukraine in an anti-Yushchenko coalition. Such a coalition would improve relations with Russia at the same time as Yanukovych might have greater diffuculty to develop relations with the European Union than he would really want to. Such a blue coalition might also be better in tune with popular sentiments than the orange alternative, which may prove a factor in coalition negotiations. A third option of forming a Yanukovich-led grand coalition with Our Ukraine and the Socialists must now be ruled out as it would include the loser - Our Ukraine - and exclude a winner - the Timoshenko bloc. This is not the message the voters sent and - in contrast to 2004 - Ukrainian politicians have learnt to listen a little more to the people. What government alternative eventually evolves is still unclear, but Ukrainian politics certainly have taken a peculiar twist, which only will make it the more interesting in the coming years. 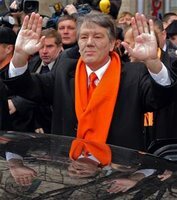 What, to the contrary, is already clear is that Yushchenko no longer can rest on his laurels as the hero of the Orange revolution - regardless of whether he will turn out a scapegoat, a lame duck or a puppet on a chain. The big question, however, is what it would mean if Ukraine now turns from orange to blue with a comeback of Viktor Yanukovich as Prime Minister. Hopefully - if not altogether realistically - this day will never come. As for the future of the orange revolution, the people and not the politicians will be the better judges on that, and this was an election - not a revolution. Reports from Minsk are currently pouring in by the hour. What is most interesting is perhaps that there seems to be an increasing rift between presidential candidates Milinkevich and Kozulin. 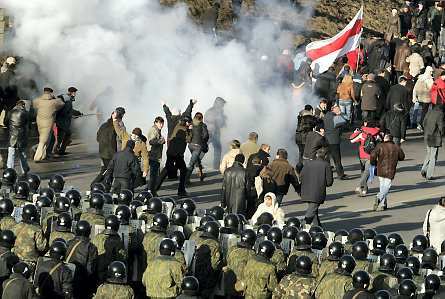 In the early morning yesterday, the sit-in demonstration on Oktyabrskaya Square in Minsk was disbanded by riot-police. The sit-in appears, by that time, mainly to have consisted of youth from the Zubr movement. The bulk of the opposition movement had by then already given up on the sit-in and wanted to make a new go at demonstrations today, Saturday. As thousands of demonstrators today poured into the streets of Minsk, riot police still succeeded in barring them from getting to Oktyabrskaya Square once more. Instead, people gathered in the nearby Yanka Kupala park, dedicated to a Belarusian national hero. Speaking to the masses, opposition leaders Milinkevich and Kozulin adopted a resolution calling for new elections - without participation of Lukashenka. What then transpired is still not wholly clear. Kozulin called for the demonstrators to move towards the Okrestina prison to free their co-demonstrators interned there, despite the fact that Milinkevich resisted such action. Many demonstrators, however, started moving towards Okrestina, and on the way there, Kozulin apparently was arrested by police. The main opposition leader, Milinkevich, afterwards reportedly said: "What Kozulin did was a provocation." The effect of Kozulin's action was that demonstrators split in two halves - thus more easily dispersable by the police - and that Kozulin got even more attention than before due to his arrest. This adds to the impression that Kozulin has alterior motives for his poisture as an opposition leader. That he is a populist is by now quite clear. That his actions repeatedly serve the interests of the Lukashenka regime, by splitting the opposition, is by now becoming even clearer. One must, therefore, ask to what extent Kozulin serves his own or Lukashenka's interests. The question is whether the opposition movement is now facing a split between Milinkevich and Kozulin proponents, thus playing into the hands of the regime. Will Milinkevich's plea for unity in the opposition thus go unheard? 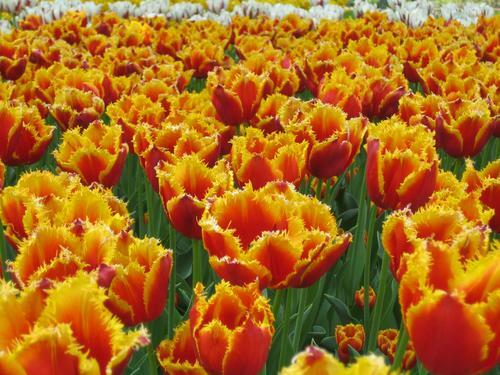 Today, 24 March, is the first anniversary of the tulip revolution in Kyrgyzstan. Whether one may speak of a true revolution is not as clear as in the cases of Georgia's rose revolution or Ukraine's orange revolution. 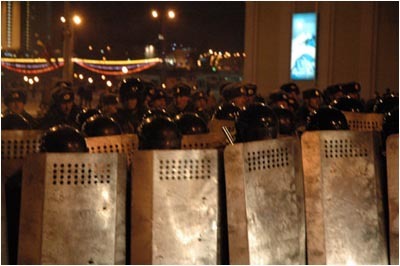 That president Askar Akayev chose to go into exile, today looks rather the effect of the tumultuous events of 24 March 2005 than of a coordinated political action. Rumours of a palace coup or the realisation that the situation under Akayev was politically unsustainable, leading to a managed takeover, have been manifold. No matter what one thinks of this, it is evident that one cannot speak of a people's revolution in the same way as in Georgia and Ukraine. New president Kurmanbek Bakiyev has recently declared 24 March a public holiday. It will be interesting to see whether this will become a day of public celebrations, ridicule or indifference. "These are my emotional reactions, jotted down in the margins of life as it is lived in Russia today. --- I live in the present, noting down what I see." This declaration is the outset of Anna Politkovskaya's Putin's Russia (London: Harvill Press, 2004). It is an important and urgent book that Politkovskaya has written, where her unfettered subjectivity is both a strength and a weakness. Thereby, she puts the reader to the test of dealing with his own subjectivity in relation to current Russia. One approach is to read the book as Politkovskaya's Russia rather than as Putin's Russia. Those who want to learn more about Putin are also in for a disappointment. Politkovskaya is an icon in the international media coverage of Russia. It is hard not to join the ranks of those paying homage to her. In Putin's Russia the standard of quality has also risen in comparison to her two previous books on the Chechen conflict. The book is fascinating and seducing reading about the cancer that, according to Politkovskaya, is growing in the corpus of Russian society. Thus, she develops the theme from previous works, though on a wider scale. How does she describe Putin's Russia? The author, at an early stage, underlines that "This book is not an analysis of Putin's politics." Instead, focus is put on individual fates and processes, claiming to be representative of the state of the nation. Are Politkovskaya's cases representative of current Russia? If so, are they correctly accounted for? These questions are unavoidable, as the cases form into an accusation against Putin, climaxing in a final judgement of this "Akaky Akakievich" of our times. Thus, Politkovskaya cannot avoid scrutiny simply because she "dislikes him." She demands justice and cannot content herself with the president as a symptom of the malaise sociale of the Russian body proper. Chechnya, Dubrovka, Beslan - that would have been enough. Instead, Putin appears both effect and cause of Russia's moral decline - from excesses and injustices to corruption and bandit capitalism. Putin is guilty, if for no other reason, that he lets it happen. He symbolises the self-continuation of repressive power - the symbiosis of the nomenklatura and the noveaux Russes in a hybrid of old and new. Putin represents the continuity of a system that contempts the people, is Politkovskaya's message. 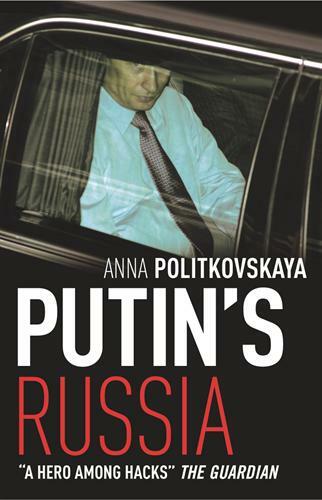 At the same time, Putin is absent from Politkovskaya's story. He is a minor character, that still in the end should assume all guilt because "He despises us." These feelings are mutual. Politkovskaya badly covers her despise of Putin, perhaps mostly motivated by that "chance has enabled [him] to clamber to the top of the pile." This sacrilege seems a crime in itself. What about reality - the individual cases that are to prove this guilt? The desperate struggle against the system of a soldier's mother to reclaim the corpse of her fallen son - Pavel - is contrasted by the same system's struggle to acquit the "war hero" - Budanov - from charges of war crime. While the account of the "Pavel" case is both authentic and characteristic, one might ask whether the "Budanov" case is representative. The use of psychiatry is e.g. put forth as the last straw for the system to rationalise Budanov's crimes. The parallel to the political psychology of the soviet system that Politkovskaya thereby draws, however, poorly corresponds to current realities. Particularities are not equivalent to systematics, no matter how much one might wish so. The state of the army is, contrarily, an area that Politkovskaya masters. She gets her message through with precision: Man is nothing against the dehumanised military system. The loyal and honest are ignored or crushed by the system. "The nail that sticks out shall be hit down." One is met by the daily struggle of a submarine commander for his own and his family's survival while he still faithfully serves the navy he has dedicated his life to. The old veteran Ivanov is found dead - frozen to the floor of his apartment. The state and the military never cared about them. People are but cogs and wheels of the machinery from cradle to grave. Yeltsin capitulated to the generals and Putin - the officer - has never even tried to reform the army, Politkovskaya claims. She is right about the culture, but as for politics she is naïve. Putin's aim is power and control of the army that he - as an old chekist - fundamentally distrusts. This is struggle - not capitulation. By the example of Yekaterinburg, Politkovskaya illustrates how the system unites capitalism and criminality, justice and politics in a system of comprehensive corruption. Yekaterinburg is admittedly infamous, but even when going to extremes, the general theme is familiar. The symbiosis between power and money on local and national levels is nothing that will make the reader raise his eyebrow. This image of Russia is already there. As long as the market does not bother power, it is left in peace. It is, however, when one enters Russian daily life that Politkovskaya is at her best. One is met by the old neighbour Tanya, who has rid herself of her husband and become a likewise successful as ruthless businesswoman. This mediocrity hardens herself and survives. At the other end of the spectrum, we find the gifted - Misha - who has passed from alocohol to murder, from prison to Orthodoxy, to finally throw himself in front of the metro as a gesture to nobody. In these parts, the inner decline and indifference of man and society are painted in its brightest colours. That Putin's Russia is captivating does not mean that one should uncritically embrace the picture Politkovskaya paints. The rage, indignation and temperament is already familiar and here reaches its peak. Politkovskaya is furious with social evils and misuse of power, with the state of man and morale. It is disturbing that she seeks no alternative explanations, no conciliatory traits. The world is divided between rulers and ruled, perpetrator and victim, black and white. Politkovskaya's critical position is clear. There is nothing wrong with that. Her position is, however, not only personal but also journalistic. Therefore, one must ask: Is Putin's Russia good journalism? The answer is both in the positive and the negative. The kind of socially and politically engaged journalism that Politkovskaya represents has been lost in the West. Her brutal sincerity can be compared to the coarse realism of the American 1930's and "muckraking". Politkovskaya displays snapshots of reality as she sees it. The book cover sends a clear message: Distanced from realities of the people, Putin is merely seen behind the drapers of power. Stilistically, the text is screaming of a disharmony that can only be met by the reality that it shows. Regrettably, she describes it - with the zeal of the wronged - in too much detail and at too great length. There is a lack of stringency. How sources are dealt with is also problematic. What is first-, second- or thirdhand sources? How are they assessed and evaluated? Are they correctly represented and in the right context? Can sources be controlled? The research is enormous and there is nothing wrong with the material. It is all very credible, but at the same time, Politkovskaya's unfettered subjectivity demands a higher standard of veracity. To believe in her is not enough. Would anyone else have been able to write the same and would conclusions be similar? That Politkovskaya is a child of soviet journalism is also clearly displayed by the fact that she seldom lets the reader draw his own conclusions. One has to tell the people what it should think. Politkovskaya is equally masterful in writing and mastering her readers. To conclude, to whom does Politkovskaya appeal? She does not reach the Russian public. The book is not published in Russia. A western audience is at the centre, but Politkovskaya is desillutioned with being able to influence western policy towards Russia. Neither does she appeal to power - she depsises it. A higher power that sets all things right is not in her liking. The answer is perhaps as simple as: "listen he, who wants to!" Politkovskaya also deserves listeners. Putin's Russia is a persuasive and credible account with a pressing message for students and public alike. But "things surely cannot be that bad," one is asked at the outset. Turning the last page, one is left with the feeling that it really is much worse. 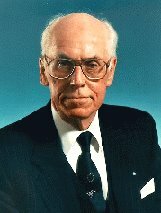 Lennart Meri, former president of Estonia, passed away silently this morning at the age of 76. Having suffered from a brain tumor, Meri was operated on last August and has since not fully recuperated. Therefore, his death came as no surprise to Estonians. Meri was elected the first president of resurrected Estonia in 1992 and was twice reelected before leaving office in 2001. As president, he brought Estonia closer to Nato and the EU, and could a few years back see his dream of membership in both organisations realised, thus anchoring Estonia firmly to western Europe and forging a transatlantic link also for his country. Besides his role as president, Meri will go down in history as one of the leaders in Estonia's fight to regain independence by the "singing revolution" and thereby ridding the country of the soviet yoke. As for myself, I will most remember him for the time leading up to the dramatic events of August 1991, when independence was gained. As things were then still quite shaky, Meri took upon himself to organise a government in exile in Helsinki, and over a few hectic weeks he and his young associates prepared for this option in case worse would come to worst. Given his central position for Estonia's freedom, his election as president in 1992 came as no surprise. Prior to his political engagement, Meri was a well-known author and dramatist. As many others of his generation, he and his family were deported to Siberia by the soviet occupation power during WWII. In contrast to all those lost in Gulag, Meri's family came back to Estonia, without which Estonia and the world would have lost an interesting political leader of these tumultuous times, when witnessing the rebirth of freedom in Eastern Europe and the demise of the Soviet Union. This evening, I was elected president of the Swedish Society for the Study of Russia, Central and Eastern Europe and Central Asia. How it all came about, is still somewhat of an enigma to me, but apparently I was regarded a good enough candidate to fill the position, which - I must admit - is both flattering and a great honour. However, it was quite unexpected until only a few days ago. The Society is an organisation of mainly analysts dedicated to "Eastern Europe". It has some 200-250 members and is the Swedish branch of the International Council for Central and East European Studies (ICCEES). One of the main tasks for the Society over the coming four years will be preparations to host the VIII World Congress of ICCEES, which will take place in Stockholm in July 2010. Thus, great challenges lie ahead but also many interesting encounters and venues. Hopefully, I will learn something from it. If not, I rely on my fellow colleagues to knock me on the head every once in a while to remind me of my faults and shortomings. Either way, I am positive that it will be great fun. 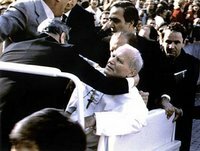 On Thursday, an Italian parliamentary investigation reached the conclusion that the Soviet Union was behind the assassination attempt on pope Paul John II, 13 May 1981, according to RFE/RL Newsline. The investigation "believes, beyond any reasonable doubt, that the leadership of the Soviet Union took the initiative to eliminate Pope John Paul. They relayed this decision to the military secret services for them to take on all necessary operations to commit a crime of unique gravity, without parallel in modern times." In a reply to the charges, Boris Labusov, spokesman of the Russian Foreign Intelligence Service (SVR), characterises the Italian allegations as "absurd". The Italian opposition also claims that the investigation forms part of an attempt by Italian Premier Silvio Berlusconi to discredit the leftist parties in the run up to Italian general elections next month. Thus, the investigation report, due to be delivered to parliament only later this month, was leaked in advance to Reuters, the Guardian reports. Allegations that the Soviet Union was behind the assassination attempt are not new. Already in 1986, Italian prosecutors failed to prove these charges due to lack of evidence. The Italian investigation, however, brings new attention to this line of inquiry, which adds to speculations on how hot the Cold War became in relations between soviet secret services and the Vatican. That soviet leaders saw pope John Paul II as a threat to stability in and soviet reign over Central and Eastern Europe is clear. The question remains if they would have risked even comtemplating a move as reckless and risky as killing the pope. Until proven elsewise, such speculations must therefore be considered a peculiar conspiracy theory. Earlier this year, the would be assassin, Turkish citizen Mehmet Ali Agca, was temporarily released from jail, having served a 20-year sentence. This provoked widespread international protests, and Agca was again brought into police custody. Agca, a Turkish nationalist, was long considered insane and his attempt on the pope as an act of a madman. In his last book before he passed away last year, pope John Paul II, however, claimed that the attempt on his life was no madman's act and that "someone else masterminded it and someone else commissioned it". It thus looks as if the "pope murder conspiracy" will be a recurrent story also in the future. Yesterday, former soviet leader Mikhail Gorbachec celebrated his 75th birthday in a circle of friends that could be described as the "Who’s Who" of Western and Soviet politicians bringing down the Iron Curtain, The Times reports. In the moderate company of some 200 people, among whom were former German Chancellor Helmut Kohl as well as many old Politburo members, one person was lacking - Gorbachev's successor, Boris Yeltsin. As became painstakingly clear to the many guests, one reason was that Gorbachev used this opportunity for a gruesome attack on Yeltsin, blaming him for the demise of the Soviet Union. That Yeltsin was not present is perhaps not very strange, as it appears that they have not met each other since they administered the dissolution of the union back in Christmas 1991. “I have never met him [since], and I don’t want to. He feels the same," The Times quotes. 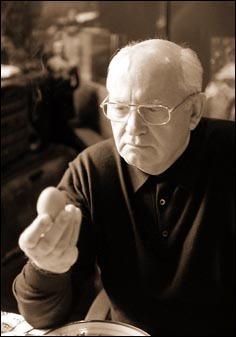 Regrettfully, the last remaining witness of these proceeding, Aleksandr Yakovlev, passed away in October (cf. my account of this). By signing the agreement that dissolved the Soviet Union, Yeltsin "betrayed not only myself, but the nation," Gorbachev said. "It is an unforgivable act of treason." It is apparent that Gorbachev now deems the moment ripe to rewrite history and his own role in it, by passing the blame on Yeltsin. As history revision has become a popular theme in the Kremlin, Gorbachev's standing in the political élite has improved as of lately - not least in comparison to Yeltsin. Thus, Gorbachev is trying to "set the record straight" e.g. by publishing his new book To Understand Restructuring . . . Why it is Vital Now. As Gorbachev remains a widely popular figure in the West, his reputation in Russia is, however, tarred. Still, more than half the people blames him for the collapse of the Soviet Union and the subsequent crisis and chaos of the 1990's. His attempts at a return to politics have also ended ingloriously: In the 1996 presidential elections he got a mere 1% of the votes. Changing one's reputation is far from easy - especially if carrying such a heavy burden as Gorbachev is. Eventually, however, history might put him somewhere in between western and Russian perceptions, where he rightfully belongs: A great reformer but also a tremendous failure. Two weeks before the 19 March presidential elections in Belarus, the Lukashenko regime is now orchestrating a heavy crackdown on the Belarusian opposition, RFE/RL Newsline reports. On March 2, police clamped down on the largest opposition rally since 1999, gathering some 3,000 people in central Minsk, in support of united opposition presidential candidate Alyaksandr Milinkevich. In a separate action the same day, police also beat and arrested another of the presidential candidates, Alyaksandr Kazulin. It now seems that the only candidate that in reality will be allowed to run for the presidency will be the president himself, Alyaksandr Lukashenka. It thus seems correct that "This isn't an election. It's a sham," as BBC quoted Yaroslav Romanchuk of the United Civil Party saying. At the same time, the regime is orchestrating its soviet-style party congress - the All-Belarusian People's Assembly - confirming a new five year plan for Belarus. Thus, GDP and industrial output are to grow by 50%, and farm production by 40%. Lukashenka, in his three-hour-speech, also took this opportunity to warn for a western conspiracy to bring down his rule. Calling his opponents "bastards", he claimed that the west is spending "hundreds of million" dollars to oust him from power, and that the Belarusian KGB had "busted 72 organizations" that were conspiring to overthrow him. "The opposition is planning a coup", Lukashenka concluded. As opposition candidate Kazulin said, it is becoming increasingly clear that Lukashenka "will do anything, even use force and weapons" to stay in power. In the meantime, a new symbol of opposition is appearing in the streets of Belarusian cities - jeans ribbons clad on lampposts and fences. Western concern for developments in Belarus is also rising. The EU is following the situation in Belarus with extra attention and worries in Bruxelles are great that things will get out of hand and turn into violent clashes between regime and opposition. Yesterday, a Polish government spokesman also declared that Poland might not recognise Lukashenka as the legitimate ruler of Belarus, according to Polish daily Rzeczpospolita. Worries are also great that a recently adopted law - permitting police to open fire on illegal demonstrators - will be used, and that opposition protests thus will be met by lethal force. The massive regime crackdown in combination with the fact that the opposition was able to rally that many people for a demonstration might indicate that Lukashenka's grip on power is not so absolute as was expected. Developments in Belarus are becoming very worrisome two weeks before the elections, and who knows to what lengths Lukashenka is willing to go to remain in power. Memories of the orange revolution in Ukraine are still fresh, and the regime seems intent to prevent any similar turn of events in Belarus - come what may. Hopefully, we will not witness blood in the streets of Minsk on March 19, but we cannot eliminate the possibility that this will be the case. On Thursday, BBC reports that Russian authorities demand the extradition of exiled Russian tycoon Boris Berezovsky on charges of an attempted coup d'état. How Berezovsky would overthrow the Putin regime is still obscure, but the affair adds to the already tense relations between Moscow and London. It may also be a Kremlin attempt to muzzle Berezovsky, who paradoxically has turned into a leading supporter of the Russian oppostition and pro-democracy movement. Russian allegations might be prompted by an Ekho Moskvy interview with Berezovsky on 25 January. In the interview, the ex-oligarch said that Putin's "regime has lost all legitimacy" and that the president is "leading Russia into the abyss". Putin is "violating the constitution and, today, any forceful actions by the opposition will be justified". 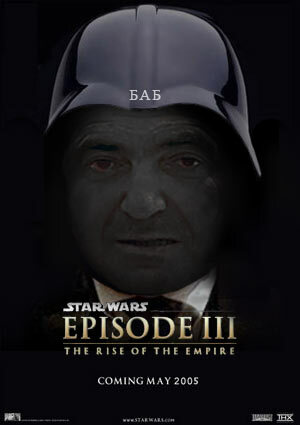 "That includes a forceful seizure of power, and that's what I've been working on," Berezovsky reportedly said. In an attempt to mend UK-Russian relations, British Foreign Secretary Jack Straw declared that Berezovsky could lose his political asylum in Britain. Straw also declared that the government would "take action against those who use the UK as a base from which to foment violent disorder or terrorism in other countries". This adds to Berezovsky's already precarious position in Britain. Only a few years back, Russia demanded his extradiction on fraud charges - a demand not granted by the Britons. 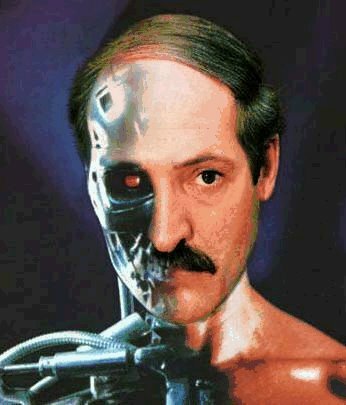 There is little doubt that Berezovsky might orchester the overthrow of Putin, if he h ad the means and the opportunity to. However, as it is glaringly obvious that he lacks this, Russian allegations seem utterly ridiculous. The image of dark forces abroad has little similarity with reality. Reflecting on Berezovsky as the mastermind to oust Putin and gain power in the Kremlin, one comes to think of Trotsky. Exiled and isolated, Trotsky's mere existence posed a threat to the soviet regime and the - by then - faltered revolution. Is it the same with Berezovsky? Does he know too much about Putin's road to power and eventually must be silenced? It is a well-known fact in Moscow that Berezovsky was one of the people who put Putin in the Kremlin in the first place, which adds a certain flavour to current charges. That he also became one of the first oligarchs that Putin turned on once in power, might have come as a surprise, if not knowing the intricacies of Kremlin palace policies. 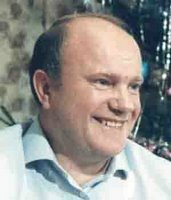 As an effect, Berezovsky went into self-imposed exile in 2000. 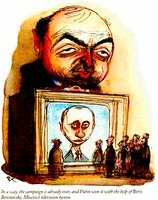 A malicious question might well be which coup d'état Berezovsky now is charged for: The successful that brought Putin into power or the current coup-cuckoo? Finally, has Putin simply invented this attempted coup d'état as a coup de grâce for Berezovsky? Does the Kremlin seriously consider the exiled and immensely impopular Berezovsky a threat to power? Or is it Berezovsky's mere existence that is unbearable for Putin? As for Berezovsky, whose name derives from the Russian national tree - the birch - might only have this left as a symbol of his lost homeland. To most Russians, he instead remains a hated symbol of the 1990's and Berezovsky would perhaps better suit the Kremlin as a "Satan Defiant" than behind bars. The regime's omnipotence must, however, be satisfied and then there is little choice but to cut down any "birches" in the way to resurrected Russia's road to glory. Over the past decade, regionalism has resurfaced on the international political agenda. The demise of bipolar division, globalisation, and rekindled cultural affiliation are but a few causes for such development. In a European context, there is reason to question whether the new regions will prove viable constructions, or if some are but transient phenomena in an overall evolution towards a Europe of the regions. Therefore, even advocates of Baltic Sea regionalism must ask –What are the prospects for a Baltic Sea region? To prove cohesive, regions should be endowed with political dynamics of their own, driven by distinctive agendas, patterns of interaction and governed by regimes. They may be based on identification, institutionalism or functionalism, driven by subjective factors such as history, culture and identity, or by objective factors such as geography, geo-economics and geopolitics. The idea of Baltic co-operation arose in the late 1960’s out of concern for marine pollution in the Baltic Sea. Environmental protection proved an uncontroversial area for co-operation even for states divided by the Iron Curtain. In 1974 the Helsinki Commission was formed to monitor Baltic marine environment. All the same, it was not until the 1990 Ronneby Summit that environmental issues became a nucleus for extended co-operation. 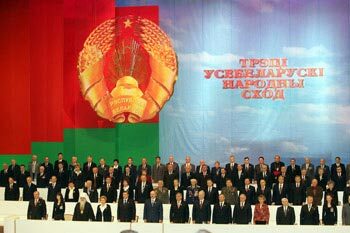 The Summit gathered regional heads of government, and for the first time the – then soviet – Baltic republics were allowed high level international representation. Ronneby led to the foundation of the Council of the Baltic Sea States (CBSS) in 1992, forming the hub of regional co-operation for the decade since. The CBSS was perceived as ”an overall regional forum to focus on needs for intensified cooperation and coordination among the Baltic Sea States” and set as its goal to ”strengthen the cohesion among these countries, leading to greater political and economic stability as well as a regional identity.” The Council comprises the Nordic and Baltic States, Russia, Poland, Germany and the European Commission. The bulk of co-operation has taken place in the large network of issue-specific organisations that developed in the 1990’s. Success or failure for these organisations may determine if the region will gain a common political agenda or be subject to interaction between individual state interests. A region in the making? A region of some 70 million people, the Baltic Sea area comprises major population centres of Northern and Central Europe. It looks back on a long tradition of trade and migration dating to the origins of recorded history. Whether dealing with Viking relations with ancient Rus’ or medieval trade within the Hanseatic League, one may find factors of commonality transcending the shores of the Baltic. History may be used as a symbol of unity in the pursuit of a common cultural heritage. 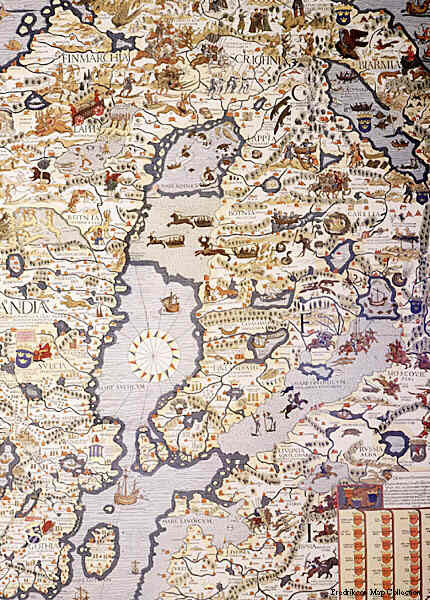 In modern times, the Nordic as well as the Baltic States have often been perceived as geographic entities by the outside world. Larger nations, such as Germany, Poland and Russia, have used the region as a gate to either east or west. If today, a regional identity is to be constructed, substantial development is needed, beside common frameworks and measures facilitating interaction. This includes improving both material conditions for trade and economy, transport and communication, and conditions for social sustainability in fields such as environment and health, democracy and justice. In both areas, directions of overall European integration will prove decisive for further development. In the early 1990’s, countries of the region fought to grasp the new reality evolving around them. A number of alternatives were considered: formation of a neutral bloc in Central Europe, Baltic States’ admission to the Nordic Council, to mention but a few. Russia’s October 1993 events – the shelling of the White House – combined with Swedish and Finnish 1994 EU accession turned focus towards NATO and EU rapprochement among former Eastern bloc countries. Enlargement became the dominant issue on the agenda. Thus, Baltic Sea co-operation increasingly turned towards the EU, manifested by the 1996 Baltic Sea region initiative. The 1997 Northern dimension emphasised this overall direction. Today, Poland, Estonia, Latvia and Lithuania have all entered the European Union. As the map of Europe has once more been redrawn, how will it affect the Baltic Sea region? Most Baltic Sea states are small countries, which individually have little leverage in an enlarged Union. Forming EU-policies on the basis of regional interests would offer greater influence on the development of the Union. Polish and Baltic membership in the EU has carried prospects for regional policy co-ordination, which - thus far - have been poorly exploited. However, to form a region, Baltic Sea states must realise that success is achieved as much out of common values as out of common interests. Progress towards this aim has gradually been made by regional co-operation, laying a material foundation for a social sense of regional commonality. To assure long-term regional concord, peoples of the Baltic must develop a feeling of shared destiny – a regional identity. It is argued that international co-operation is best pursued among states of comparable size and power. When larger and smaller states interact, co-operation risks either dominance or neglect from the large. In the Baltic Sea region, Germany, Poland and Russia are giants in comparison to other CBSS-members. While German participation in regional co-operation has been stable, EU-membership has extended Poland’s choice of partners in Union affairs. A country of some 40 million, Poland may regard unilateral action, temporary alliance-building or issue-specific agreement with other actors more attractive than Baltic Sea co-operation. Sharing a common Union framework, the Baltic Sea region may still offer sufficient synergy for both Germany and Poland to find regionalism an attractive alternative. Instead, Russia remains the great outstanding issue. Inclusion versus exclusion was at the top of the 1990’s European agenda. Among CBSS-states, all but Russia are members of either NATO or the EU. Neither is an option for Moscow. Instead, a socio-economic gap is widening between Russia and the rest of Europe. The old debate whether Russia is part of Europe has also resurfaced. Social and material exclusion of the country from European affairs is evolving. Having conceded to NATO enlargement, Moscow’s main concern is access to the European market. Russian WTO accession may prove a means in relations with Europe. If EU-enlargement to the Baltic Sea region excludes Russia from equal terms of trade with other CBSS-states, Moscow may co-operate only as far as it serves her own interests. This would hamper regional integration. The Baltic Sea region may become the major playground for Europe’s Russian dilemma. In all, if the larger CBSS-states start pulling in different directions, the Baltic Sea region will be a concern only for the small. Such development risks endangering long-term regional stability. Hopes are as great as misgivings for a Baltic Sea region. What it all winds down to in the end is if the area actually makes for a region. Functionally, the area may form a region in geographic, economic and political terms. Institutionally, regional co-operation has a distinctive agenda and specific patterns of interaction governed by the CBSS-regime. Whether the region will carry its own political dynamics or simply has served as an antechamber to the EU is, however, too early to say. The future of Baltic Sea regionalism will largely depend on the evolution of a regional identity. It is especially encouraging that business and finance increasingly perceive a single Baltic Sea market. Thus, material conditions would form the social basis for regional development. For over a decade now, we have crossed old borders of political and economic division to interact in the pursuit of a common good. In review of some 15 years’ co-operative development, great progress has been made in the formation of a Baltic Sea region, but its realisation is still too early to predict.